Elliott Yamin, born Efraym Elliott Yamin, is an American singer known for his hit single "Wait for You" and placing third on the fifth season of American Idol. His self-titled album, released March 20, 2007, debuted at No. 1 on the Billboard Independent Albums chart and at No. 3 on the Billboard 200. The album was certified gold in the United States in October 2007. Retitled Wait for You, the album was released in Japan in May 2008 and certified gold in that country in September 2008. Yamin also released two Christmas collections: Sounds of the Season: The Elliott Yamin Holiday Collection in October 2007 and My Kind of Holiday in October 2008. Yamin's second album, titled Fight for Love, was released on May 5, 2009. The album's first single, "Fight for Love", premiered on AOL Music on February 13, 2009. Yamin was born in Los Angeles, California, to father Shaul Yamin, a Jewish Israeli of Iraqi Jewish descent, and mother Claudette Goldberg Yamin Jewish American of Ashkenazi descent and former professional singer known for her "fiery spirit" and for receiving the "Golden Idol for Proudest Family Moment Award" from Ryan Seacrest during her son's American Idol competition. His family relocated to Richmond, Virginia when Yamin was 11, and his parents divorced when he was 14, his father returning to Los Angeles. Yamin has an older half-sister on his mother's side, Jodi Queen, a married mother of two children and a younger brother, Scott Yamin, in pharmacy school at Campbell University in Buies Creek, North Carolina. A history of ear infections as a child and eardrum replacement surgery at 13 left Yamin with 90% hearing loss in his right ear. He was diagnosed with Type I diabetes at the age of 16 and wears an insulin pump to help him manage his diabetes. Yamin is 5'6" tall. Yamin first discovered his vocal talent while singing karaoke in his late teens. Although he had not been musically trained, he sang in a local jazz band and in amateur performance forums emulating Stevie Wonder, Whitney Houston, and Donny Hathaway. He attended Douglas S. Freeman High School in Richmond, Virginia. Dropping out of high school in his sophomore year, he later achieved a high school GED while working at Foot Locker (in their management program), a pharmacy, and as an on-air disc jockey for local R&B radio station WCDX/Power 92 FM, using the name E-Dub before auditioning for American Idol. auditioned in Boston, Massachusetts, singing Leon Russell's "A Song for You", but his audition was not aired (it was later aired on October 24, 2009, as part of the American Idol Rewind - season 5 show). He performed the song again in front of the judges during Hollywood rounds, as well as Rascal Flatts's "Bless the Broken Road". During the group auditions, Yamin and his group performed "It's In Her Kiss" (aka "The Shoop Shoop Song") from Betty Everett; Simon Cowell disliked the group performance, but Randy Jackson said Yamin was the best one in his group, and Paula Abdul said it was a good thing she could look past two left feet, in a way of saying he did not dance well but he could definitely sing. He was sent through by the judges and made it through to the finals of the competition. During one weekly rehearsal, guest coach Stevie Wonder told Yamin that he should definitely pursue a career in music. Simon Cowell stated that he thought Yamin was "potentially the best male vocalist" in five seasons on American Idol and later, after Yamin's "A Song for You" performance, he declared that it was a "vocal masterclass". His performance of "A Song for You" ranked third on Entertainment Weekly's countdown of the 16 best American Idol performances in the series history. On the May 10, 2006, results show Yamin, Taylor Hicks, and Katharine McPhee were announced as the top three finalists. All three returned to their respective hometowns for a day of festivities in their honor. Yamin's homecoming visit included radio and television interviews; performing "Home" for more than 4,000 fans, capped by Mayor Douglas Wilder presenting the key to the city; and meeting Governor Tim Kaine, whom Yamin greeted with a hug. Yamin threw out the first pitch before a sold-out crowd at The Diamond for a Richmond Braves game and sang a verse a cappella of "A Song for You". Video highlights were shown on the top three results show. Yamin was eliminated from American Idol on May 17, 2006, after the tightest race; each of the three top contestants received an almost exactly equal percentage of the viewer votes necessary for advancement to the remaining two spots. 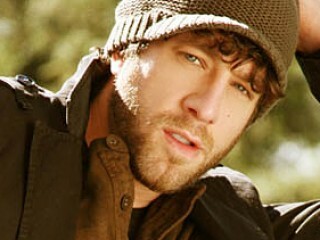 View the full website biography of Elliott Yamin.